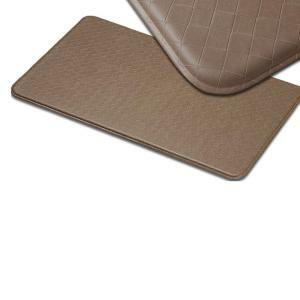 Get a 20″ x 36″ Imprint Anti-Fatigue Comfort Mat in Mocha (pictured) or Espresso, originally $59.99, for $34.99 at HomeDepot.com today only. With free shipping, that’s the lowest shipped price we could find by $19. These mats are designed to help relieve foot and leg discomfort when you stand for long periods. Sales tax is charged in most states.